Now everyone knows the Netherlands as the country of tulips - and variety of those makes you reach for a photo camera in your backpack. But after having admired flowers as much as to take your breath away and when you plunge into a cool bed in a nook of the Netherlands, don't rush to fall asleep. Through an open window you may hear wierd klomp-klomp, klomp-klomp sounds in the silence of the night. This is history of Duthch peoole itself clattering on stone block pavement with wooden klompen. No wonder in that because such shoes appeared 500 years ago. Ordinary countrymen and fishermen worked hard to earn their leaving so oftentimes they couldn't afford expenses on real shoes, while humid and cold climate forced them to look for a way out. This was how wooden footwear emerged to protected from moisture in summer and from cold in winter thank to thick soles. Frequently to preserve warmth people put straws or paper inside. Typically such shoes were gouged from poplar but willow, beech and aspen are also good for it. "As easy as a pair of klompen" – this is how Duth national saying goes instead of "as easy as shelling peas" familiar to English-speaking public. Really, what's so hard about it? A piece of wood, a gouge and a hammer, a drop of patience, a bit of power of a man and craft - and there you go, your shoes are ready. Then again, it was like that in ancient times and nowadays when klompen serve more as an attraction for tourists, they are made on workbenches over 10 minutes using moulds for left and right feet. They are later painted and decorated with various patterns to remind owners about wonderful and hospitable Netherlands somewhere there, in distant countries. But in own homeland such unusual footwear can still be seen on some farners and fishermen. 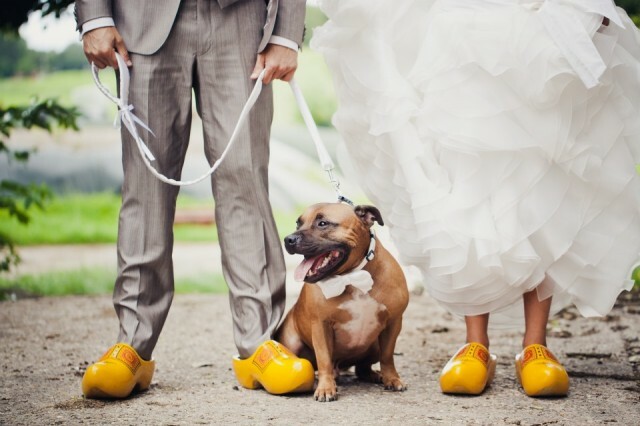 Being loyal to traditions, the Duth walk down the isle wearing klompen, too. Bright, with hand-made carvings, after weddings they fit into interior designs perfectly and find their place somewhere on the hall wall or nearby a fireplace. 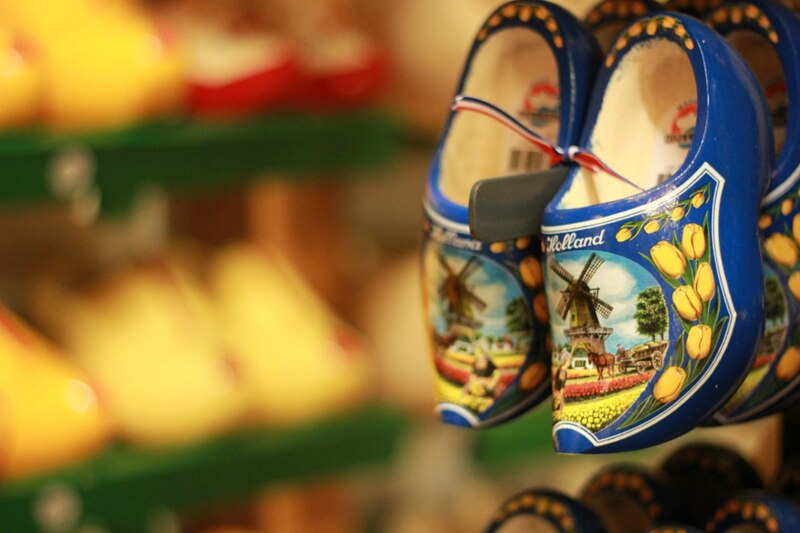 Locals joke that judging by amount of wooden shoes in a house one can easily learn about the owners’ private life. You will probably be surprised to hear that klompen were even certified by European Union as one of the safest kinds of footwear made of natural materials. Also, in wooden clogs you can walk on broken glass or modern chemicals without being afraid to hurt you feet or damage your shoes. 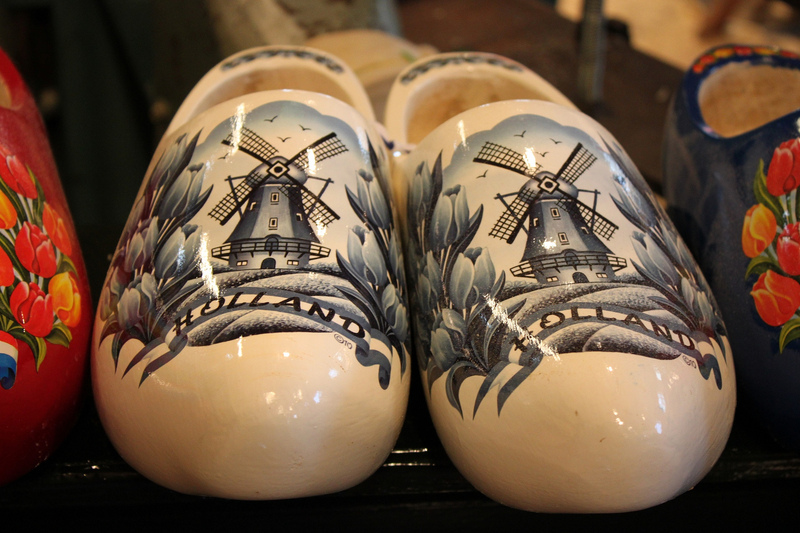 The Dutch say that such footwear is good for health because it doesn’t squeeze toes and is beneficial for leg muscles. There is also an idea that the fact that local dwellers are predominantly tall is the courtesy of their predecessors wearing wooden clogs. You have an opportunity to look at various kinds of klompen at Zaanse Schans Museum. Craftsmen will show you shoes making process, those who feel like will have a chance to take a picture sitting in a huge four-meter long clog or even paint a pair to own taste to shows friends and relatives later. Who could have thought back then, several centuries ago, that not only will everyday footwear of ordinary people stay in use in twentieth century but will even become a pride of the nation. In world’s most famous galleries canvases depicting people in simple shoes of countrymen are exhibited. Have a closer look at Bernard Blommers’s Family Meal or Children with Cerries as well as Frederik Carel ten Kate’s Dutch Fishermen.